We feel strongly that we should contribute to our local community and we encourage all of our staff to support local charities and use their annual ‘Employee Volunteer Day’ to help out with a local cause or charity. Every year our staff chose the ‘Charity of the Year’ that we will support and coordinate challenges and fundraising events throughout the year. We are proud of the commitment our staff have given over the years to some worthwhile causes. 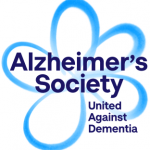 Our 2017 charity of the year is Alzheimer’s Society.